This Easter bread has to rise twice, so that will take up some time. It's definitely worth it! 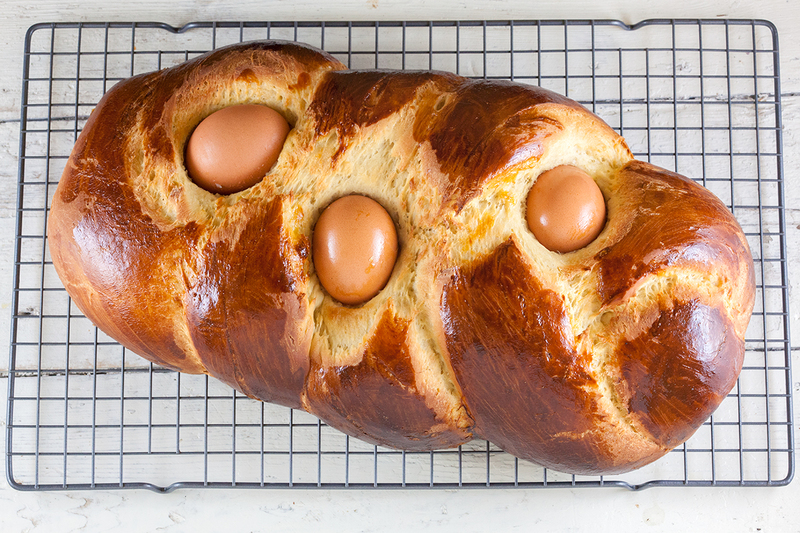 A soft and tasteful bread, including hard boiled eggs. It's a bit similar to brioche bread. HEAT a dash of the milk until it’s lukewarm and stir in the yeast and a tablespoon of the sugar. Wait until the yeast mixture has become foamy. COMBINE the rest of the milk with butter and vanilla extract in a small saucepan and heat until the butter has melted. ADD 2 eggs to a small bowl and lightly beat them. COMBINE flour with a pinch of salt and the rest of the sugar in a large bowl. Gradually POUR in the yeast mixture and the warm milk. 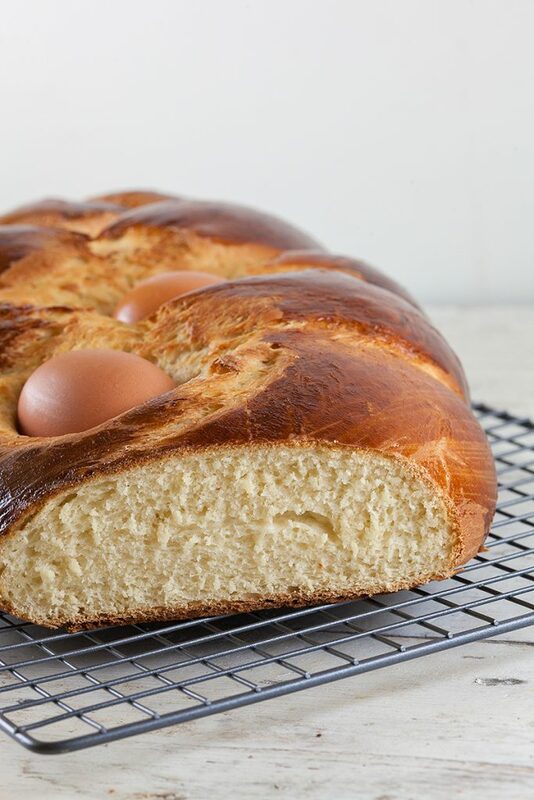 ADD the lightly beaten eggs and knead until you’ve reached a smooth and elastic dough. You can also knead the dough by hand. PLACE the dough ball in a large bowl and cover with a damp clean kitchen towel. Let the dough rise for about an hour, or until doubled in size. Meanwhile BOIL 3 eggs for about 8 minutes and then stop the cooking process by placing them under running cold water. As soon as the dough has doubled in size, you can divide it into 3 equal parts. CREATE 3 thick strings of the dough then braid it on the baking sheet. Use a paper kitchen towel with a bit of oil to create shiny boiled eggs. 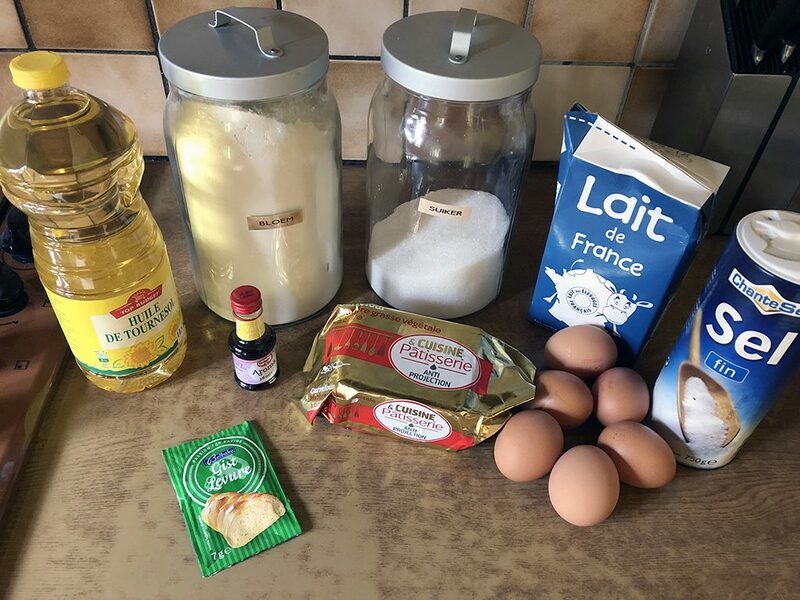 PRESS the eggs carefully into the dough. COVER the braided bread again with the damp kitchen towel and let it rise for another hour. HEAT the oven to 180 degrees Celsius or 350 degrees Fahrenheit. 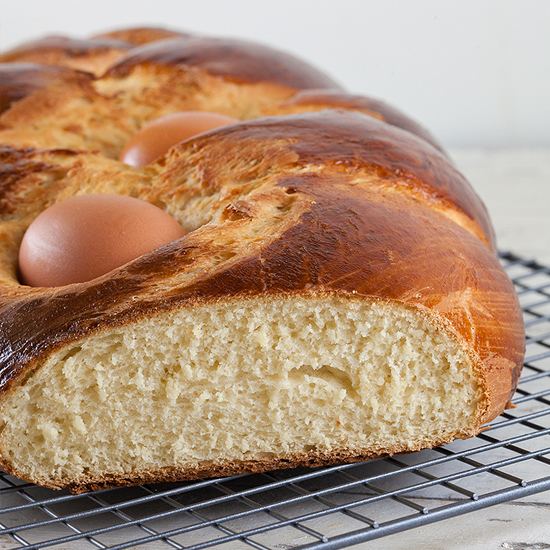 Lightly beat the last egg with a bit of water to create an egg wash and BRUSH the bread with it. BAKE the bread in the oven for about 40 minutes, exact time depends on the oven. TRANSFER the bread to a cooling rack and wait about 10 minutes before serving. Delicious with a layer of salted dairy butter or jam. Enjoy!